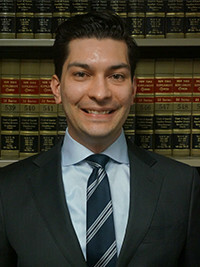 ANDREW LAVADERA joined MDAF as an associate in 2019. Prior to joining the firm, Mr. Lavadera clerked for the Hon. Kimberly Espinales-Maloney. J.S.C. in the Civil Division of the Superior Court of New Jersey. Mr. Lavadera then worked as an associate for plaintiff and defense firms specializing in aviation and transportation cases handling all aspects of wrongful death, bodily injury, property damage , and subrogation claims from inception through trial and appeals. At MDAF, Mr. Lavadera focuses his practice on the defense of municipalities, premises liability, construction/Labor Law and other personal injury claims. Davis, Saperstein & Salomon, L.L.P.